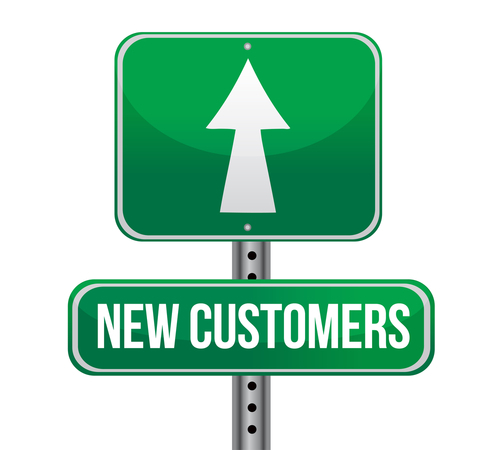 One of the biggest challenges, and goals, for most dealerships is to reach new customers. Growing your business for long-term success requires that you continue to build your customer base year -over-year. This is a very elusive endeavor for so many dealerships. And it can be incredibly expensive. Add to that expense a lackluster response for a marketing/advertising strategy and the cost goes even higher. This is where mobile can play a critical role in new customer acquisition. You can make minimal financial investments and reap huge rewards. And for those that already have a mobile solution provider you may see your investment be nothing. Literally zero dollars! Here are some examples and suggestions on how you can use mobile to reach those new prospects. Virtually every dealership I’ve ever been fortunate to work with has had an opportunity to work with another local business that reaches a similar demographic as what you’re looking for. This partner may be a local bar/restaurant, nonprofit organization, event or rally, etc. They have access to many of your existing customers but also many that may not have been to your store before. Use your mobile software to your advantage and offer a shared promotion for that business to help drive new customers to your database all while promoting their business as well. EXAMPLE: You have a bike night at a local restaurant. Ask that restaurant to give you a $50 gift card that both you and the restaurant promote as a tex-to-win promotion. The restaurant tells their customers all week leading up to your event to text in. The bounce back messages instruct customers to come to the bike night and can include a special or additional message about the restaurant. You both win on a partnership like this and you haven’t invested a single dollar more to execute this. You’ve created your annual calendar of promotions and set aside a budget for those promotions. Now you need to add to those investments a meaningful mobile strategy. If you sponsor any local event or charity think of adding a mobile call to action. If you have a physical presence at an event have staff walk around with tablets for mobile signups. Create signage for your table or booth for a text in offer. Using different keywords and internal campaign management tools of your mobile system can also let you measure the response of those you add to your mobile club and even let you compare to your customer data from your DMS new customers versus existing customers. Almost ALL OEMs coop advertising for you. And many we’ve worked with do so at 50 percent which is huge. Whether it’s traditional media like radio or print or new, digital advertising channels like social media you have an opportunity to add a mobile call to action to that advertising. Your external advertising is typically geared towards new customer acquisition so entice that prospect with a chance to win a gift card or discount on purchase when they hear a radio commercial or see an ad in your regional print publication. Chances are your OEM you’re promoting may even give you some swag or extra incentive to use for the giveaway. Just ask. EXAMPLE: You’re a Yamaha dealership running radio commercials about the “Trade Up” event. You are likely getting coop for that radio buy. Add a mobile call to action to the commercial like “text in to win a $100 gift card”. In the bounce back you send to confirm the customers entry are more details about the Yamaha promotion with a link to inventory or financial terms. At this point Yamaha would also likely coop your mobile cost for adding this aspect to the overall mix. *check with your OEMs in advance on COOP. If you are doing traditional advertising through local radio, TV or print ask them to add value to your investment by sending a text blast or email blast to their listener club or promotional club asking them to join your mobile club for an offer or discount. Now you’re leveraging another list of potential customers entirely. Again, you must ask. they won’t just offer this in many cases. Probably because they don’t even think about it. Most dealers are community oriented and involved in local chambers of commerce or business groups. Find new partnerships through these businesses that may have your potential target customer. Offer an exclusive incentive for them to promote to their customers for you. That makes their customers happy they are receiving some added, new benefit. But it’s ultimately benefiting you by adding new customer prospects to your mobile database. Again, use your mobile platform fully by using custom keywords for these promotions so you can measure the success. Did you know you can run ad campaigns on Facebook, Instagram, LinkedIn and Twitter to exclude your current customers? Yep, it works incredibly well when you run a promotion for new customer acquisitions. These social media platforms give you the ability to upload your current customer data. They will then match those customers up to social media profiles on their system and now you can build an ad campaign to “exclude” those matches. Then you target a data set of non customers with your promotion. You should then run a campaign with a mobile call to action. Getting a “LIKE” is not nearly enough. Direct them to a mobile landing page to sign up to win something by providing their mobile number. Or the body of the ad could simply be “Text in to win …”. Again, you can measure this on your mobile platform to see response rates and engagement. These digital customers are going to be your prime audience interested in mobile. The overwhelming majority seeing the ad campaign are already on their phone when they saw it. And the investment for an ad campaign like this can literally be a few dollars a day. Take advantage of your existing satisfied customers but asking them to help promote your dealership. You know word of mouth is incredibly persuasive depending on the customer experience. So when you have a customer happy from perhaps receiving a coupon or offer from you give them the opportunity to share that reward with friends and family. A robust mobile platform can do all this for you. A customer can receive an offer then share it through your platform by providing a friends mobile phone number. That friend then gets a text alert stating that “your friend thought you’d like this offer from ABC dealership. Reply Y to join their mobile club and receive the coupon.”. If the friend doesn’t respond Y they are not added to your database and will never get marketing messages from you. But if they do opt in they are now eligible for the offer and future offers. This could be very successful as you monitor NEW customers being added to your database versus existing customers. One very important aspect of all these ideas is that you can NEVER buy customers. You can’t rent or lease a list of phone numbers and solicit them or anything. You can’t even reach out to them innocently as a partner to someone unless it’s executed from that partner’s mobile system. This is not only horrible for your business but illegal. Rely on your mobile vendor as support to help develop and execute these opportunities. If they are reputable and experienced they will know the best way to advise you on what would work best for your dealership. All of these ideas I’ve shared are not terribly complicated. But they are all proven strategies that will yield results if executed the right way. If you have questions on how to put together a promotion for reaching new prospects please drop us a line. Ron Cariker is owner/president of 7 Media Group, a diverse mobile marketing firm based in the U.S. and the leading mobile provider for the powersports industry. Ron and his company have worked with over 150 dealers across the U.S. for the past 8 years.